If you're like me, and you think the 2015 Ford Mustang got a little too soft in the looks department, all you're gonna need is a visit to your local Roush shop. They have the angry-sauce you so desperately need to pour on your pony car. The noted Michigan tuning shop today released the first full photos of how they'll do up the new Mustang, and they include every trim level of the new car — V6, V8 and EcoBoost turbo four. 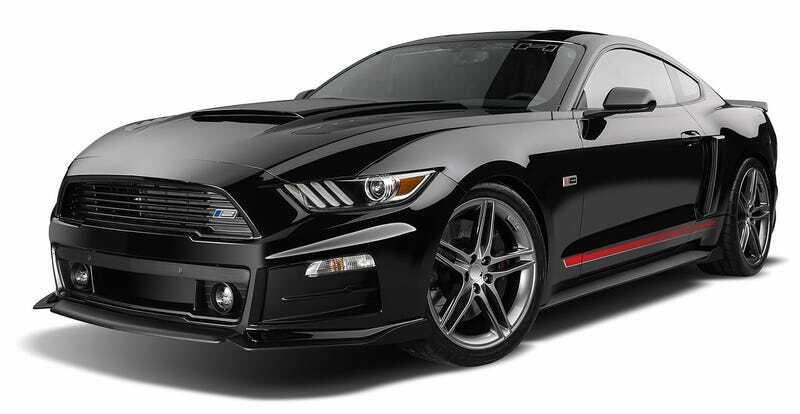 All Roush Mustangs receive their "R7" body package, an optional performance suspension, Quicksilver 20-inch, some interior tweaks, and the V8 and EcoBoost get a quad-tip performance exhaust. It's a good start for what Roush wants to do to the new car, and they say to expect more upgrades in the future. Is it bad that I kind of wanted the Mustang to look like this all along?